With great enthusiasm, we share your interest in Wyoming's great outdoors!As fourth generation Wyoming natives, enjoying Wyoming's back- country and big game hunting has long been a family tradition. Outfitting isn't just a job for us, it's a way of life. 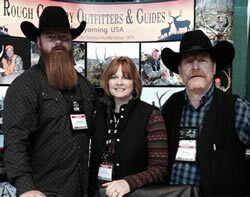 We are full-time, professional outfitters and we enjoy sharing our life-style and expertise with others. Since 1979, “Rough Country Outfitters and Guides, LLC”, has had a reputation for providing quality hunts and memorable experiences, respected by sportsmen as well as fellow outfitters across the country. After hundreds of successful hunts and many thousands of hours spent in the field, our knowledge of Wyoming's big game and the outfitting business is unsurpassed in the industry. We understand the personal efforts and details that go into a good hunt and do everything in our ability to see that our guests have a safe, successful, and enjoyable experience with us. We attribute our success to enthusiasm, professional attitudes, knowledgeable guides, fine camp accommodations, and excellent hunting areas with well managed game herds. Our success is reflected in a 75 percent return rate of past hunters. We take a great deal of pride in our record of happy, successful hunters as they are our biggest asset. “Rough Country Outfitters” is an honest, hard-working outfit that strives to provide the highest quality hunts and western experiences available in the Rocky Mountain West. Our goal is to send every hunter home with great memories and the Wyoming trophy of his or her dreams. After reading our information, we encourage you to give us a phone call to personally discuss any questions you may have about our services. 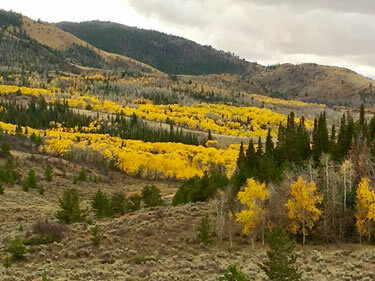 It would be our sincere pleasure to outfit your next hunt in Big Wonderful Wyoming!